The Algonquin Logging Museum brings to life the story of logging from the early square timber days to the last of the great river drives. 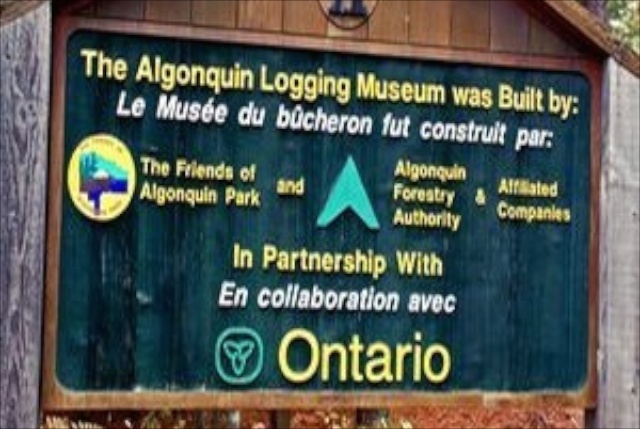 Start your visit with a video presentation that sums up the logging history of the Algonquin area. On the easy-to-walk 1.5 km trail, a recreated camboose camp and a fascinating steam-powered amphibious tug called an “alligator” are among the many displays. Take a step back in time and learn about this very colourful aspect of Algonquin’s cultural history. As well, the Algonquin Logging Museum has an excellent bookstore staffed by The Friends of Algonquin Park.